New Directions Publishing | Is That Kafka? Is that Kafka? indirectly contributes to an on going scholarly project, in Europe and America, to revisit many of the assumptions about the writer and his work, in effect, to move beyond the myths and clichés. 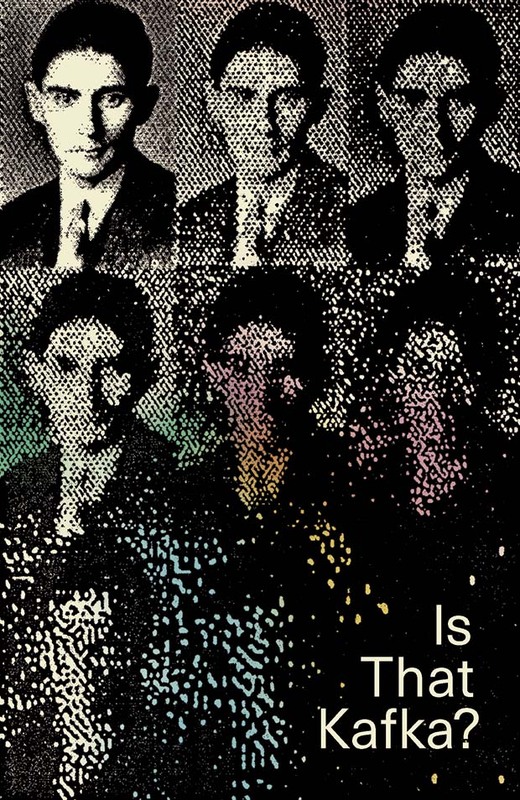 In the course of compiling his highly acclaimed three-volume biography of Kafka, while foraying to libraries and archives from Prague to Israel, Reiner Stach made one astounding discovery after another: unexpected photographs, inconsistencies in handwritten texts, excerpts from letters, and testimonies from Kafka’s contemporaries that shed surprising light on his personality and his writing. Is that Kafka? presents the crystal granules of the real Kafka: he couldn’t lie, but he tried to cheat on his high-school exams; bitten by the fitness fad, he avidly followed the regime of a Danish exercise guru; he drew beautifully; he loved beer; he read biographies voraciously; he made the most beautiful presents, especially for children; odd things made him cry or made him furious; he adored slapstick. Every discovery by Stach turns on its head the stereotypical version of the tortured neurotic—and as each one chips away at the monolithic dark Kafka, the keynote, of all things, becomes laughter. If, like me, you are wary of delving into a three-volume account of the life of an ascetic and self-tormenting insurance lawyer, Stach has by some inexplicable thunderbolt of inspiration supplemented his enormous undertaking with a separate volume of biographical detritus, which he suggestively calls ‘counter-images’, titled Is that Kafka? 99 Finds. Lucidly translated from the German by Kurt Beals, ingeniously designed, illustrated with photographs of Kafka and the people he knew, of places he visited and art he admired, and with facsimiles of newspaper articles, manuscripts, notes, and letters, Is That Kafka? is a handsome volume. A playful new book from Reiner Stach, one that pulls together 99 facts and observations from the Czech author’s life, all with the purpose of clearing the brush of falsehoods about the man that linger in the public imagination. Each turn Stach makes adds nuance to his skillfully collaged portrait of Kafka. It is fitting that such a tricksy little maze of a book would bloom from the life of Kafka, whose work operates better in smaller spaces. A beautiful display of unexpected wonders and curiosities, each one glittering with light from a source that will never be understood. A mishmash of ephemera, curiosities and confessionals, the finds range from the banal to the deeply personal, yet collectively paint as engaging and illustrative a portrait of the artist as any I’ve read.